After suffering from on-going gut issues since getting salmonella food poisoning back in 2013, I have been very cautious of where I choose to eat, and what I put into my body. Only my closest friends and family know the struggles I've been battling with food and my health, and how I've tried pretty much every different diet. 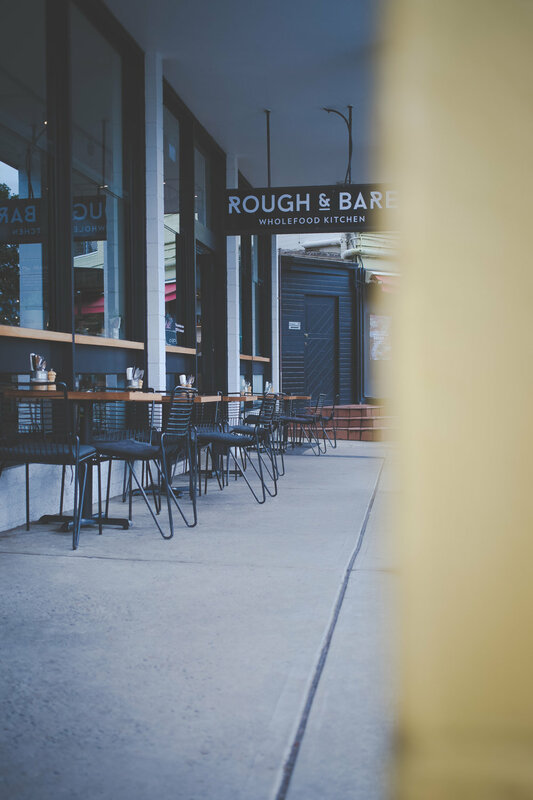 Thankfully I stumbled across Rough & Bare, a little organic cafe tucked away in Mona Vale on Sydney's Northern Beaches, that has since helped me to heal my gut. 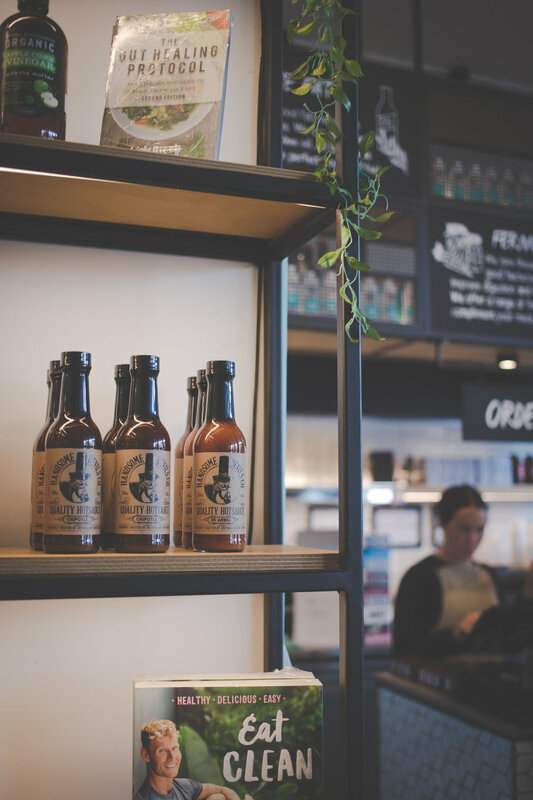 At Rough & Bare, they don’t believe in labels, but rather bio-individuality. Which means, there is no one diet for everyone. Each person is unique and the same goes for your nutritional requirements. This is something I have had to learn the hard way, and have to continue to constantly remind myself that my body, is different to your body. And what works for you, may not work for me. 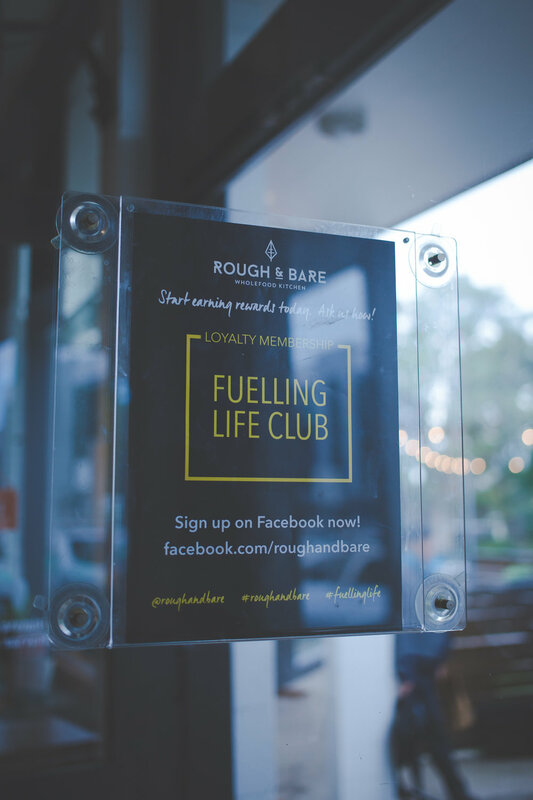 Just like we fuel our cars to stay driven, we need to fuel our bodies to stay happy and healthy, and Rough & Bare's goal is to bring the community together to offer sensible, transparent food choices that are ultimately “fuelling life”. And they have certainly done well at creating a space that brings the community together. Not only do they offer incredible food choices, but they have a small market of locally sourced products on offer, (my fav is the Hello Coco yoghurt in the jar, and the Nectar Cold Pressed juice in the 'Eagle Eye' flavour) and they often host workshops where you can learn all about how to nourish your body the correct way. 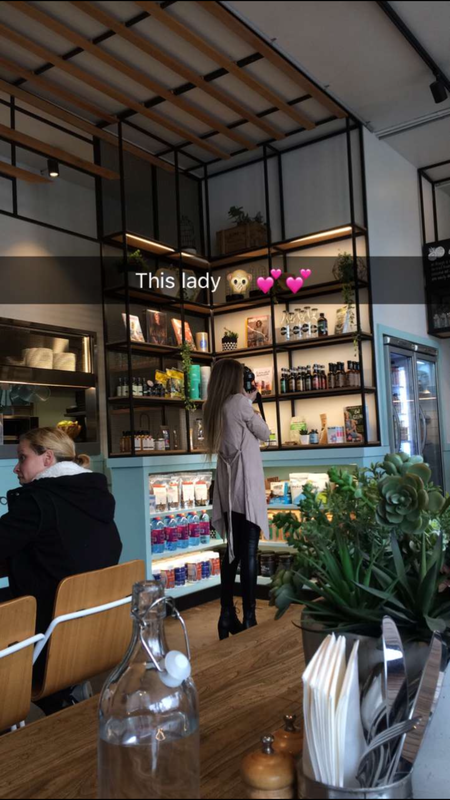 The entire cafe is also thoughtfully designed with a seamless layout, and plenty of seating arrangements. 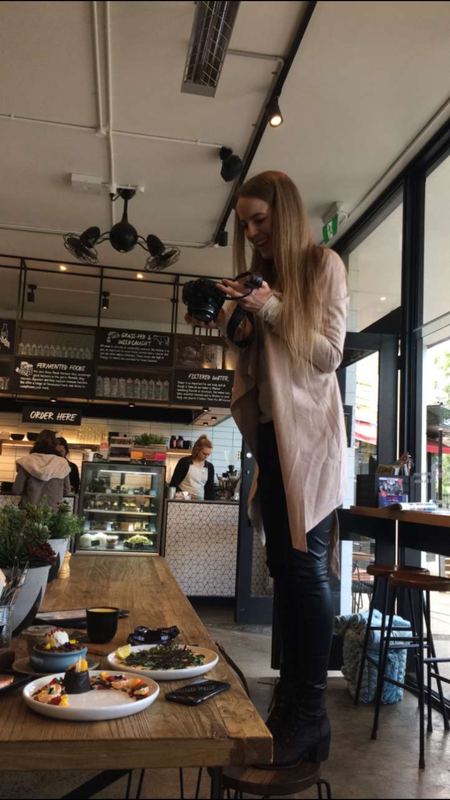 They even have stand up benches (perfect for your digestion) where you can enjoy a brothee whilst flicking through local magazines. And on a nice day, you can sit out in the sun and when it gets too chilly you can rug up with one of their blankets. 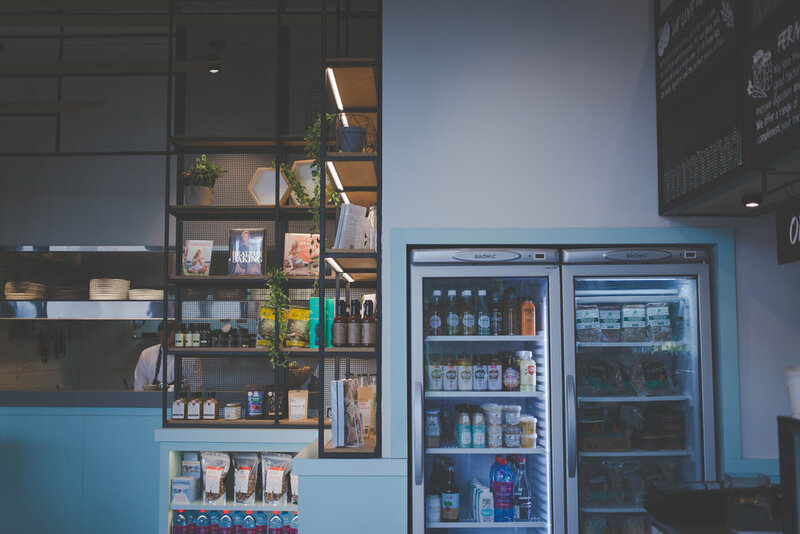 What I like about the fit out (which was designed by Sydney retail firm Giant Designs) is the industrial elements with black and blue accents, mixed with various natural timbers. 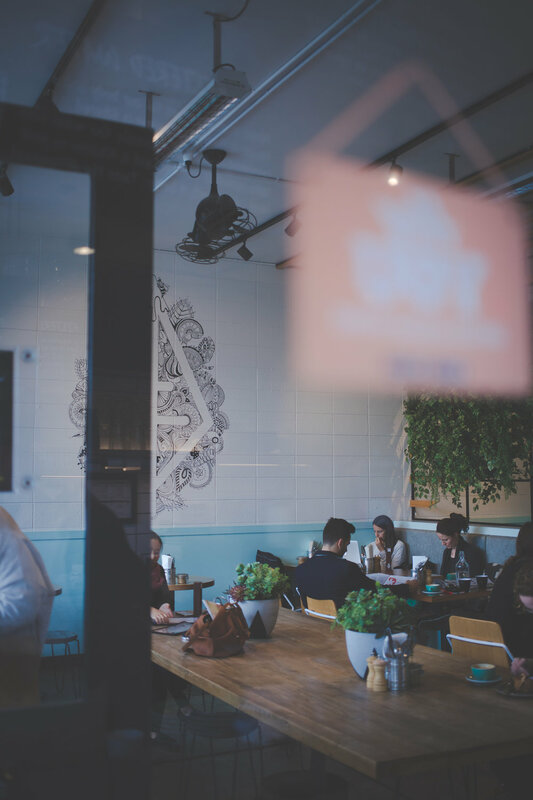 The prominent use of plant life adds a more organic touch to the space, and I love the awesome wall mural by Sydney Branding Agency Smack Bang Designs, which makes the space feel creative and inspiring for those who choose to work from the cafe. And just like the interior, each dish is carefully designed. I mean look how pretty the presentation of these dishes are! Now I couldn't demolish these plates without company, so my work colleague from The Interior Design Institute 'Rika-san' came with me. 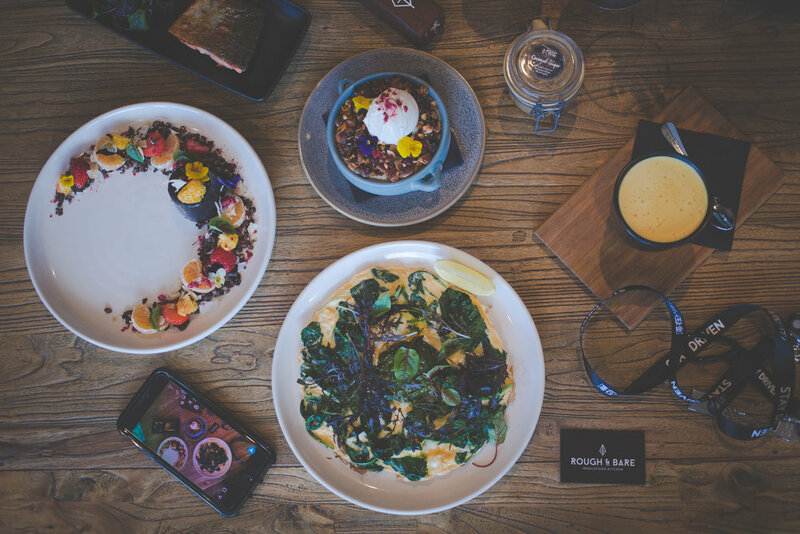 We ordered the breakfast omelette with pastured-range eggs, baby kale, probiotic pesto, local cress, truffle oil, and a side plate of fresh wild-caught salmon, drizzled in lemon. I also got the keto bomb bone broth (super creamy and probably my new favourite drink) and Rika got a cappuccino. I've been drinking bone broths (or 'brothees' for short) for quite some time now and can't get enough of them! Broths are found in culinary traditions all around the world where it has been highly valued as a medicinal food. 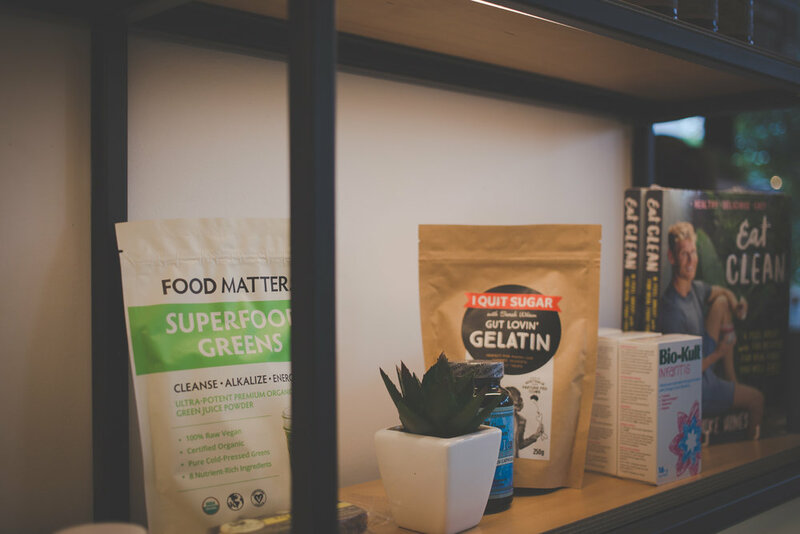 Rich in minerals and gelatin, bone broth has many healing benefits that are bioavailable to the body and easy to digest. They are also great for immunity, healing and sealing of the gut, bones, joints, teeth, and helps to keep skin firm whilst reduce wrinkles! 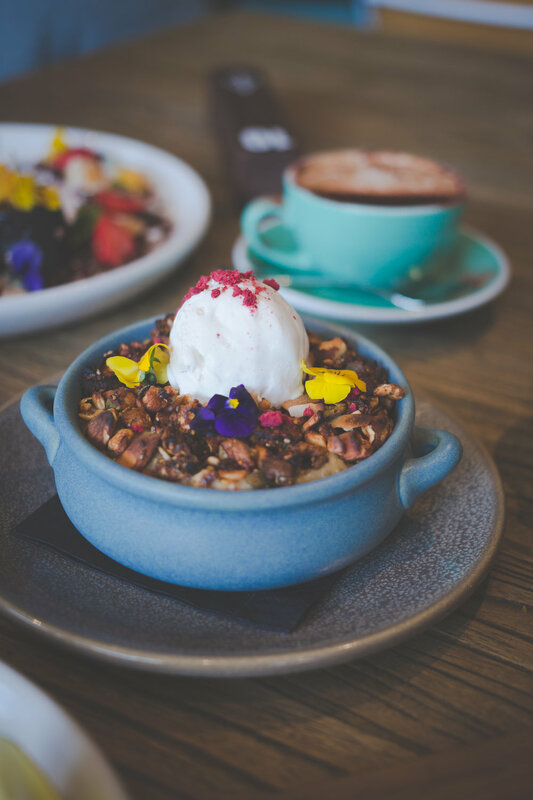 After our plate was empty, we dove our spoons into the baked porridge which consisted of a mixture of pear and rhubarb, rolled brown rice, coconut milk and cinnamon, topped with toasted fruit, nut crumble, pretty edible flowers and a dollop of yummy coconut ice cream. And saving the best for last, we then sank our spoons into the new kid on the menu... the activated charcoal chocolate panna cotta! This plate provides one hell of a nice visual, and it certainly doesn't just look good... it tastes good too! 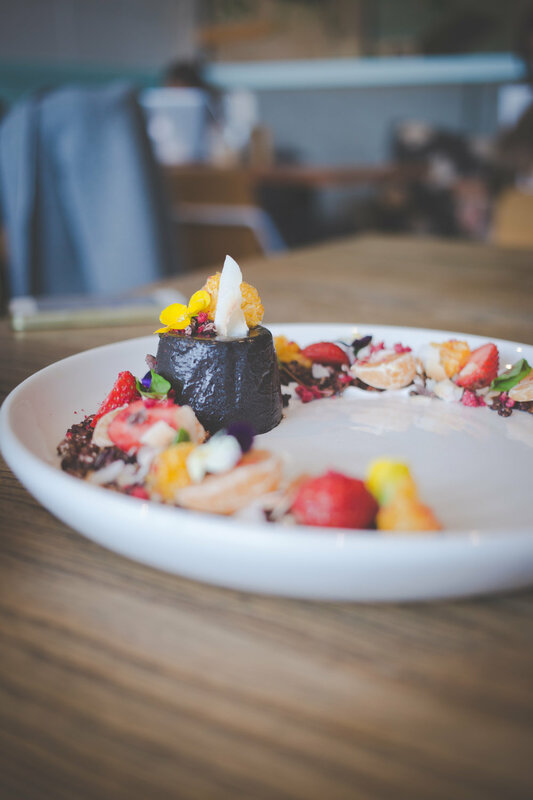 Topped with cacao pops and nibs, fresh and freeze dried mandarin, strawberries and toasted coconut this plate was next level. I had never had panna cotta before and was a little sceptical at what this weird, black thing was but it was so delicious! Not only are the servings incredibly generous, but the quality of produce is the best I've experienced. 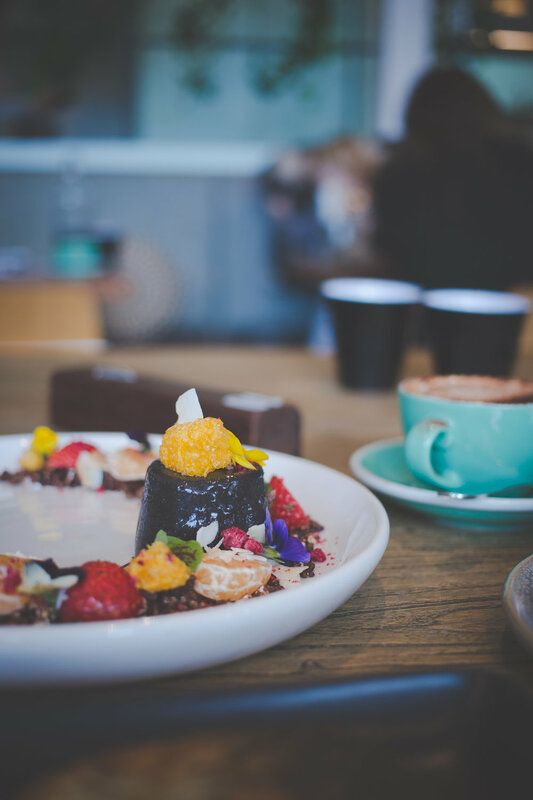 Each dish has been consciously created for optimal nutrition with the help from their team of advisors, and the presentation is just amazing. It's like eating a work of art! 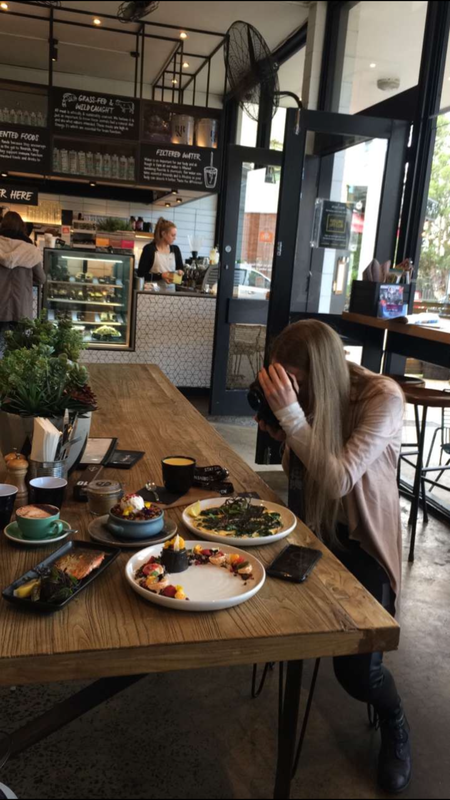 With many visits, (I literally can’t name another cafe that I've frequented more) each time I have left feeling happy and well-nourished, rather than miserable and bloated. And it feels so good knowing that what is going into my body is truly rough and bare. 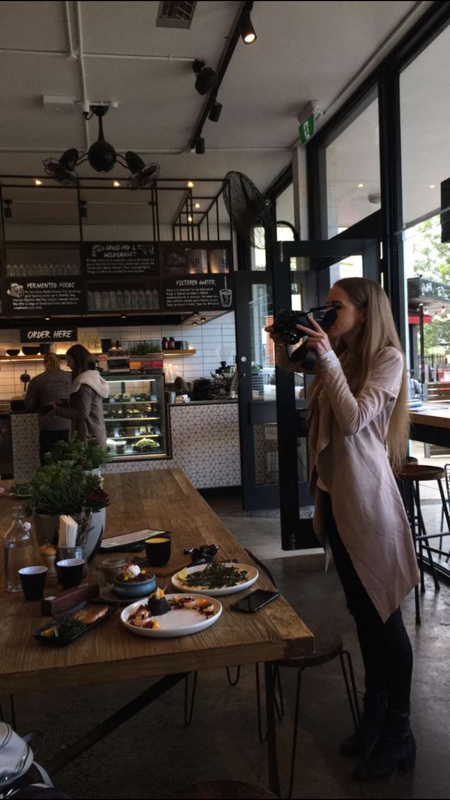 Yay for tummy friendly cafes!